“Vegan food has a life beyond the lentil,” say the authors of a new vegan cookbook containing this simple summer recipe for fried bread and tomato salad. 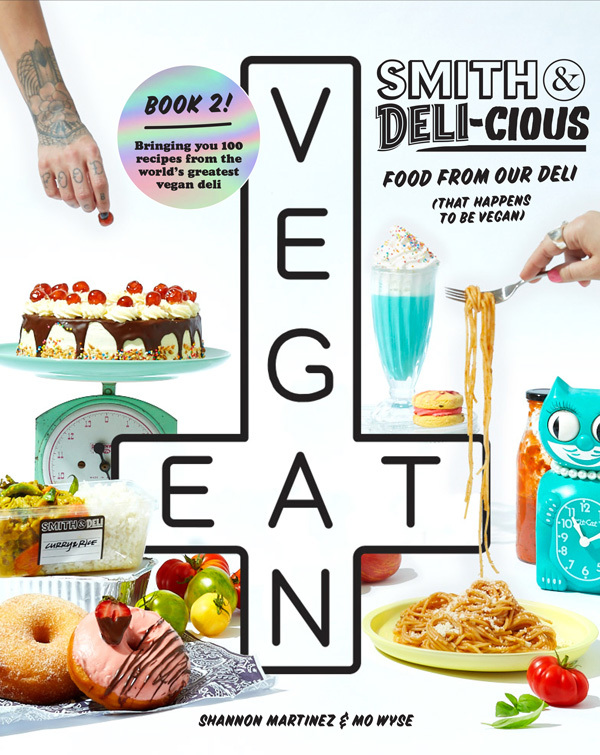 Melbourne restaurateurs Shannon Martinez and Mo Wyse opened their vegan eatery, Smith & Deli, three years ago following the success of their first restaurant and bar, Smith & Daughters. Their latest cookbook, Smith & Deli-cious: Food From Our Deli shares recipes of what they describe as the deli’s “can’t-believe-it’s-not-the-real-deal-hits”, including vegan mac and cheese, “beef” bourguignon, doughnuts and more. This is such a beautiful, simple-is-best salad. It uses minimal ingredients, keeping the focus on the fresh tomatoes. Only make this salad in the summer when tomatoes are at their best. Made right, this is the most perfect picnic salad. This is also a great way to use up any stale bread in the house. Tear or cut your bread into any shape you want. Coat the base of a large frying pan with a generous amount of olive oil. Smash the garlic clove with the side of your knife and add it to the oil. Set the pan over a medium heat and allow the garlic to sizzle a little. Add the bread to the pan with the oil. Lightly drizzle olive oil on the bread to coat (we aren’t deep-frying the bread here, just toasting it). Toast the bread, flipping over regularly, until golden and crispy on all sides. Remove and leave to cool while you prepare the tomatoes. Cut the tomatoes – our preference is to cut the tomatoes into different shapes, some in wedges, some rounds, etc. If they’re small, just cut them in half or keep them whole. Combine the tomatoes and onion in a bowl with the salt. Mix well and set aside to allow the salt to draw some of the moisture out of the tomatoes. This will help the dressing adhere. For the dressing, whisk all the ingredients together in a small bowl. Transfer the bread to a salad bowl and mix with the tomatoes, fennel and herbs. Pour over the dressing and toss to coat, then check the seasoning before serving. Tip: Seasonality is key – never EVER make this with crappy tomatoes.